Warning: do not try this at home without proper supervision. In my meditation class with Scott McBride I studied the four limitless qualities of the the awakened heart, which includes cultivating joy in one’s life. Joy is a happiness that is completely devoid of clinging and craving. Joy is “happiness without the hangover,” explains teacher Pema Chodron. I would like to share how I experienced a moment of what I am calling Spontaneous Joy one Saturday evening at my home a few years back. When my daughter, Julianna, was a junior in high school she attended a post prom party at Dave & Busters with most of her class. 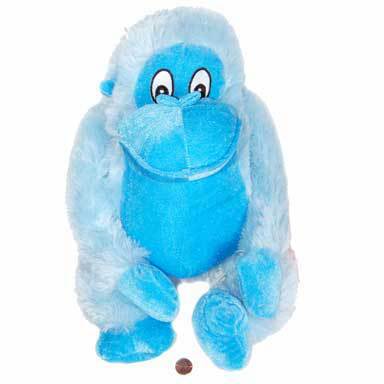 After a few hours playing games at the arcade, she and a big group of kids decided to pool their tickets to get a “really big prize.” In exchange for 9,000 tickets, Bruce the Blue Gorilla was born. Bruce is (was) a giant stuffed gorilla. Yes, he is also blue. My daughter was so taken by Bruce that she offered to house him on behalf of the junior class. That night (morning) I met my daughter, five of her best friends, and Bruce in my kitchen when they returned home at 4:45 am (hem, hem). The six of them (plus Bruce) were giddy with prom stories and “Bruce stories.” They quickly changed and went to the basement where they sat Bruce in the middle of their circle and engaged in “Prama” (Prom + Drama) discussions. The next evening, we hosted a last-minute bonfire gathering at my home with 25 high school juniors. It was a beautiful night, and the pizza and soda were abundant. “Life is good” fairies were heard singing in the air as these young adults flitted about enjoying life. As my husband and I sat watching TV, one of my daughter’s friends, wearing a mischievous grin, asked us if it was okay for her to go to the basement to get Bruce. I should have known at that moment that something momentous was about to take place. Twenty minutes later, Brian and I heard an ecstatic eruption of joy and laughter coming from the backyard. Screams and clapping filled the air. I felt elated, excited, and kind of nervous to find out the cause of this incredible celebration. Brian and I couldn’t believe what we saw. The juniors had sacrificed Bruce the Blue Gorilla in the bonfire. They sacrificed him as a right of passage into their senior year of high school. His soft blue body had exploded open from the heat. His innards (white foam) were strewn about my backyard. I burst out laughing. I celebrated with them. It was pure delight from this unexpected spontaneous combustion. 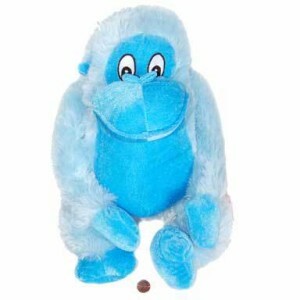 It was a moment of Spontaneous Joy, and I thank Bruce the Blue Gorilla for making it happen.